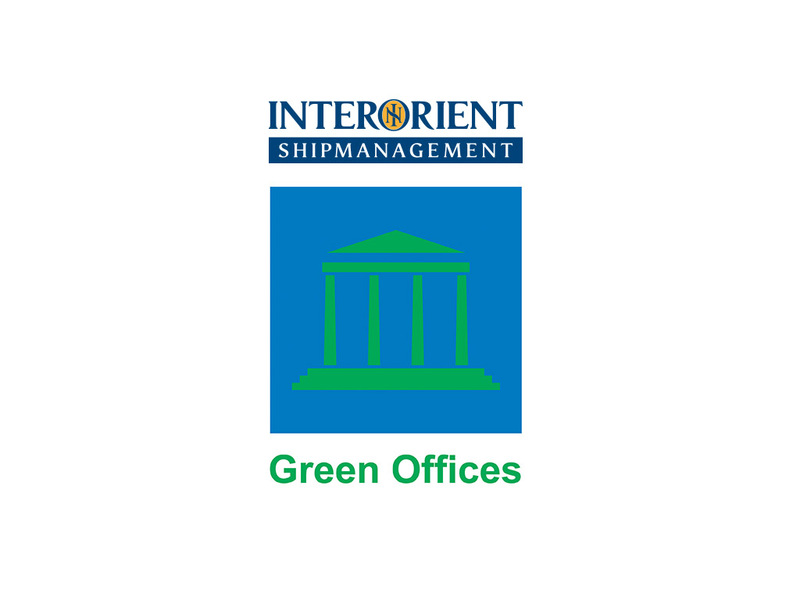 Interorient Shipmanagement building on Franklin Roosevelt Street, Limassol has been certified with the Green Offices Award. The adoption of environmentally friendly practices together with the continued commitment and dedication of our staff are the most important factors in enabling us to receive this Award. Green Offices is a pilot, innovative eco-label for offices and buildings. Green Offices is awarded to facilities that implement and adhere to criteria related to energy and water consumption, waste management and use of environmentally friendly products for personal hygiene and detergents, the quality of food and drinks, development of green areas in open spaces and environmental education. Green Offices is a pilot programme of the Foundation for Environmental Education (FEE), an international, non-government organisation promoting sustainable development and environmental education worldwide. The national coordinator of Green Offices pilot programme is the environmental organisation CYMEPA. The programme is run under the auspices of the Commissioner of the Environment of the Republic of Cyprus.